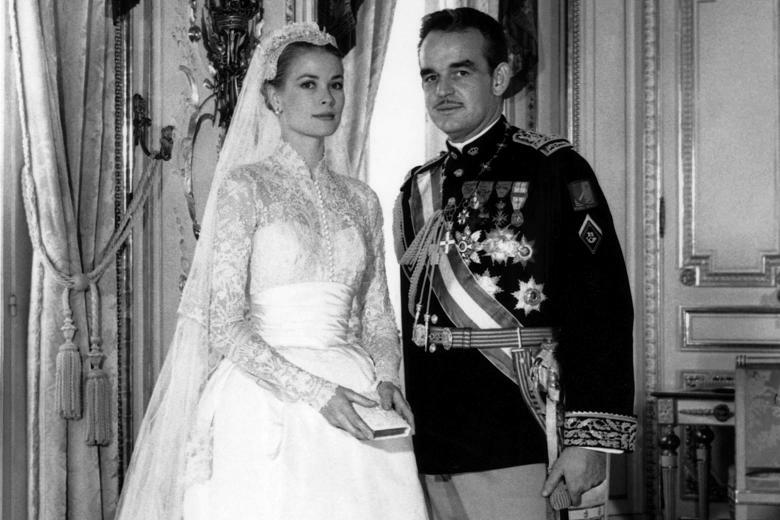 Happy 59th anniversary to one of the most iconic couples of the 20th century: Grace Kelly and Prince Rainier III of Monaco! The newly-engaged Kelly admires her engagement ring. Engagement ring #2: a 10.47 carat emerald cut diamond with baguette accents in a platinum setting, also by Cartier. This whopper of an engagement ring epitomized upper-class luxury so perfectly that Kelly wore it on screen for her role as Tracy Samantha Lord in High Society, a film that satirizes the wedding of a wealthy American heiress. Though Kelly's engagement to a real-life prince with exceptional taste in jewelry may seem like a fairy tale, its worth noting that Grace and her family were required to cough up a $2 million dowry for the privilege of marrying her into the royal family of Monaco. No wonder the Prince had the budget for such an impressive diamond! Happy Anniversary to Edward VII & Queen Alexandra! On this day in 1863, Alexandra of Denmark married Edward, Prince of Wales. In 1901 upon the death of Edward's mother, Queen Victoria, the couple ascended to the thrones of Great Britain as King and Queen Consort of the United Kingdom and Emperor & Empress of India. Though Edward was a bit of a troublemaker, he still holds a special place in our hearts as the namesake of the Edwardian era - a moment in jewelry history when diamonds, pearls and intricate, elegant platinum-work reigned supreme. Diamond, pearl and platinum necklace c. 1905, Dreicer & Co, New York. Metropolitan Museum of Art. There may have been a few decades between the couples' wedding and their coronations, but we think they aged quite well! Queen Victoria and Prince Albert: Celebrating 175 Years! Happy 175th Anniversary to Queen Victoria and her beloved Prince Albert. They were married on this day in 1840, and their time together influenced the trends of generations. To celebrate, let’s look back on their big day. It should come as no surprise that their courtship and wedding ceremony shaped the nuptial institution as we know it. Victoria received one of the first engagement rings. 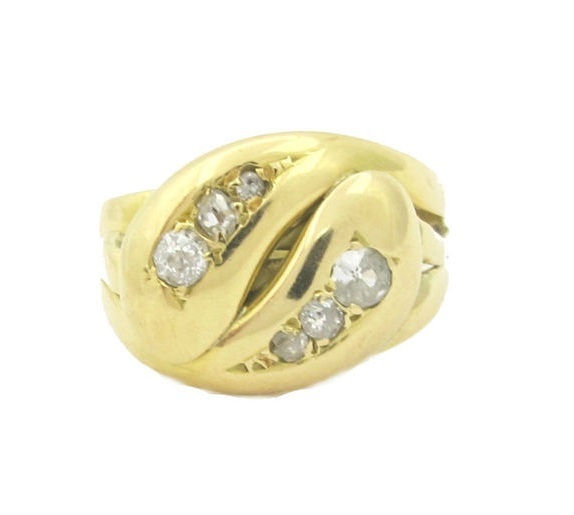 A coiled snake was fashioned in gold with an emerald, her birthstone, set into the head. The snake symbolized eternal love, and became a proliferate motif in Victorian era jewelry representing wisdom and fidelity. 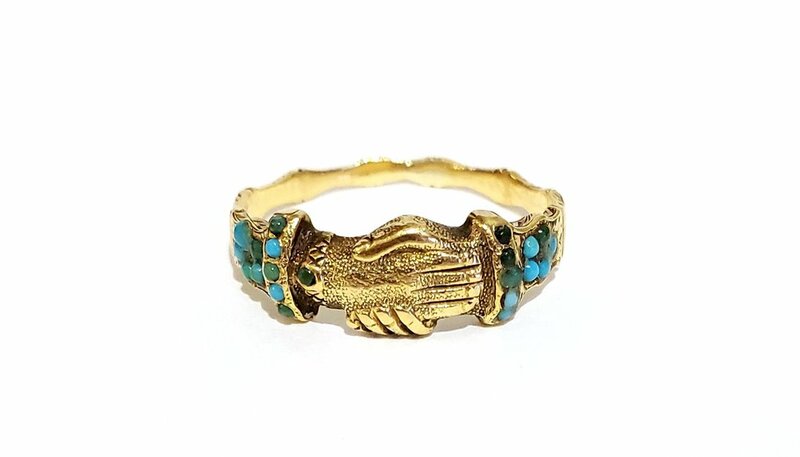 Birthstone-set rings became a popular choice for engagement jewelry until the late 19th century. The new queen chose a white dress for her marriage ceremony. Some considered this a conservative choice, as bright colored wedding gowns were the order of the day. White was also worn as a color of mourning at the time, adding to the confusion over her decision. However, less than a decade later, a fashionable bride could wear no other color than pristine white. In the image to the right, Victoria is painted wearing the "Albert" brooch, which features an oblong mixed cut sapphire of an estimated 20-30cts, surrounded by brilliant cut diamonds. It remains among the Crown Jewels to this day. Victoria gifted each of her 12 train-bearers, or bridesmaids, a turquoise brooch in the shape of an eagle, additionally decorated with diamonds, rubies and pearls. Blue was the color of loyalty and faithfulness, which is why the good luck rhyme “Something old, something new…” says a bride is should carry a “something blue” with her. It makes sense that, in this age of romance and sentiment, that a bride should offer the same to her attendants. In Historical Weddings Tags Martin Luther King Jr.